OMG! 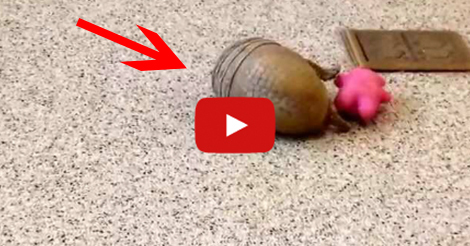 This three-banded Armadillo is too cute for words! He is too adorable playing with that little pink toy! When he is hugging the pink toy is just so cute that I want to get the toy to tease him. But he looks like he is not the forgiving type, and a must not to disturb kind of animal. You can find Rollie at the NEW Zoo and Adventure Park in Green Bay, WI. 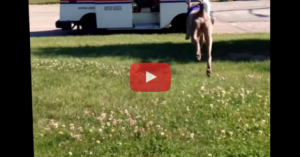 This Dog Runs Towards The Postwoman, And His Owner Filmed The Whole Thing!